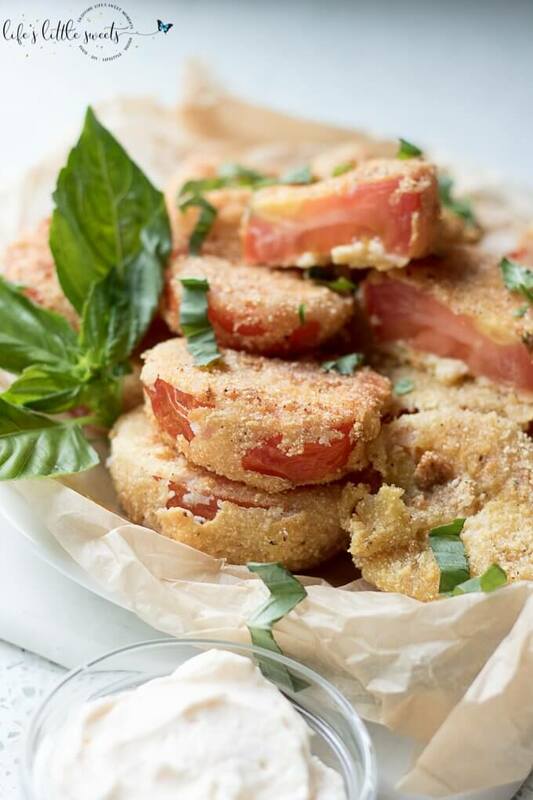 Gluten Free Fried Tomatoes are a delicious Summer appetizer or vegetarian side dish – juicy, ripe, red tomatoes with a gluten free flour, egg, milk and corn flour coating, fried in Canola oil, make for a crispy outer texture, sprinkle with fresh basil! 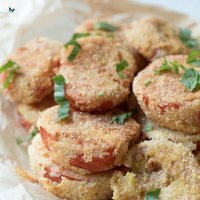 Hi Everyone, I recently re-shot photos for an older post, Pan-Fried Tomatoes, and I thought, it would be great to have a coated-style recipe of tomatoes on the blog. 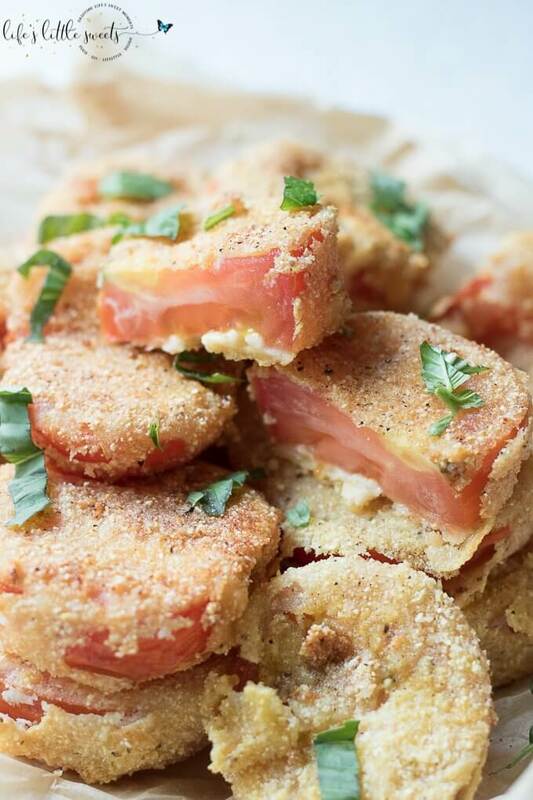 And, well, I just was craving fried tomatoes and with tomato season coming up, I couldn’t resist making them! 1 quart Canola oil (or vegetable oil) for frying – you want to have about 1 inch in the pan for frying. 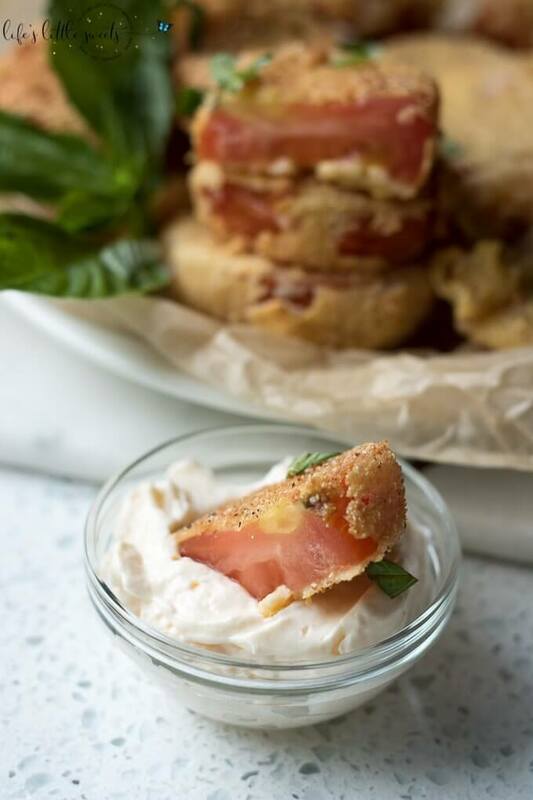 If you like this Pan-Fried Tomatoes recipe, you might also like some of our other recipe with tomatoes: Homemade Garden Fresh Salsa, Tomato Basil Mozzarella Puff Pastry Tart, Tomato Basil Mozzarella Salad and Grilled Cheese Tomato Bites on SoFabFood. Tomato season is as early as July 5th, it spans from July 10th through September 15th and is as late as October 15th. The dates depend on the specific varieties of tomatoes, of course! I decided to make this recipe gluten free because, generally, we have been trying to reduce gluten and carbs from our diet not for any specific health reasons. So, whenever I can and if it’s convenient, I try to make a recipe gluten free. 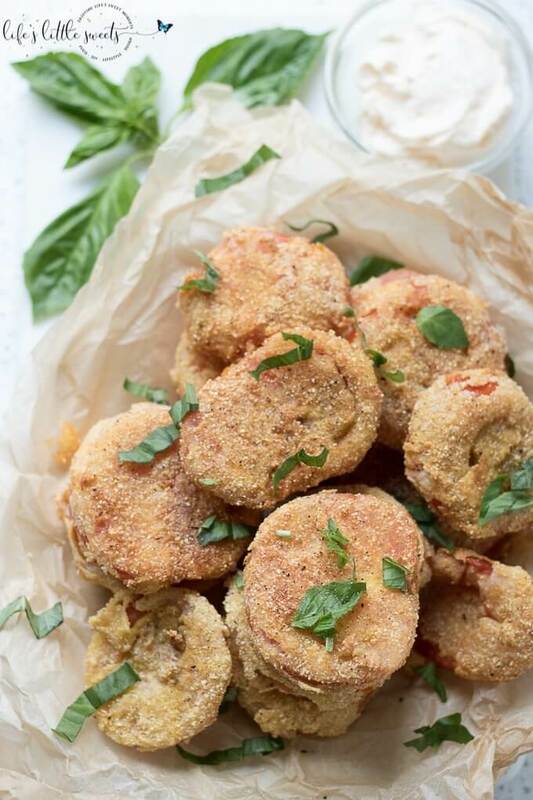 These are great on their own, or over a salad, as a vegetarian side dish or in a burger. We recently had them with veggie burgers and no bun and just some mayonnaise over mixed greens and it was lovely! 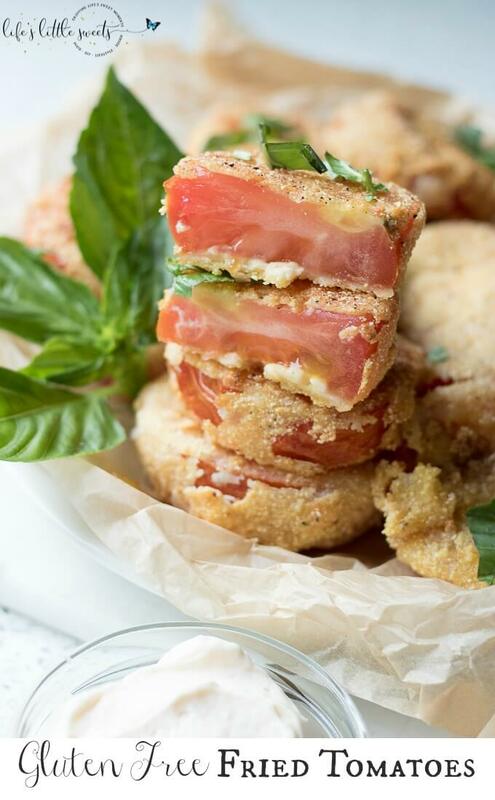 These are like a savory way to enjoy garden fresh flavors of tomato and basil. 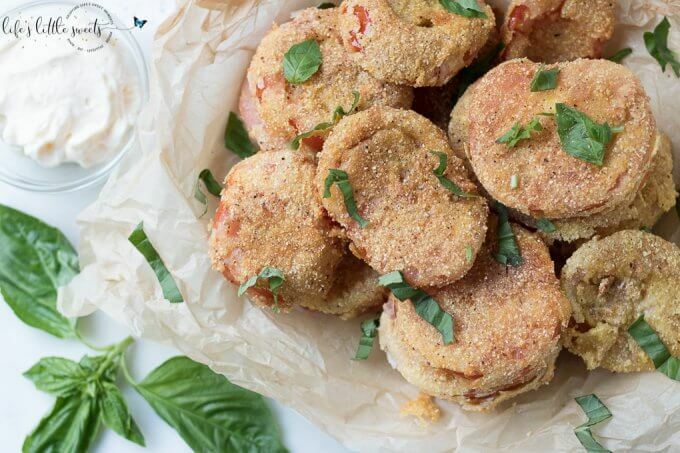 This recipe would also work with green tomatoes, so if you have an abundance of tomatoes, why not fry up a few of the green ones to try them out! If they are green, they will probably take a little longer to cook. 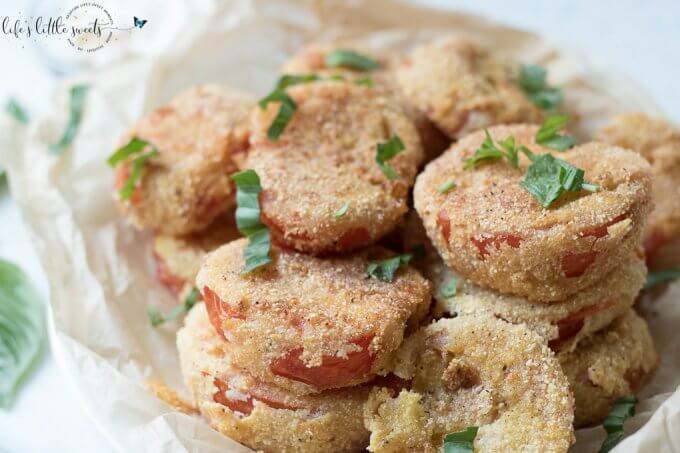 I know you will love these Gluten Free Fried Tomatoes, let me know if you try them in the comments below! 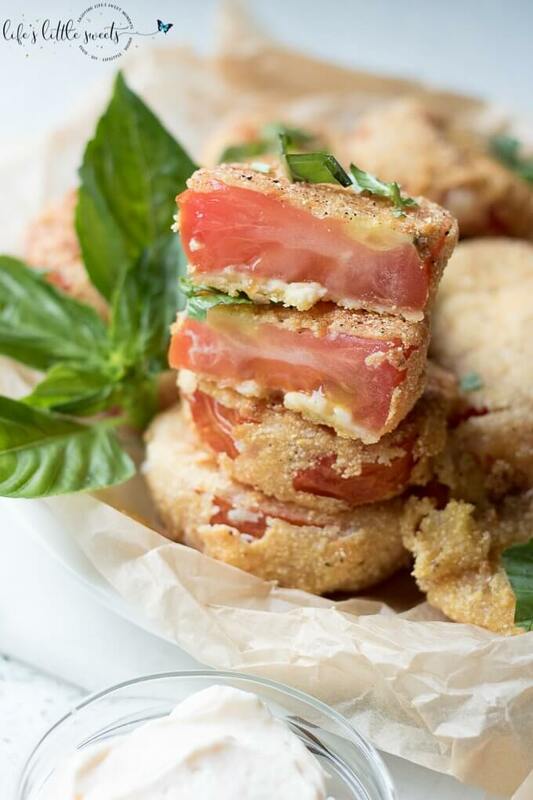 Gluten Free Fried Tomatoes are a delicious Summer appetizer – juicy, ripe red tomatoes with a gluten free flour, egg, milk and corn flour coating fried in Canola oil make for a crispy outer texture, sprinkle with fresh basil! 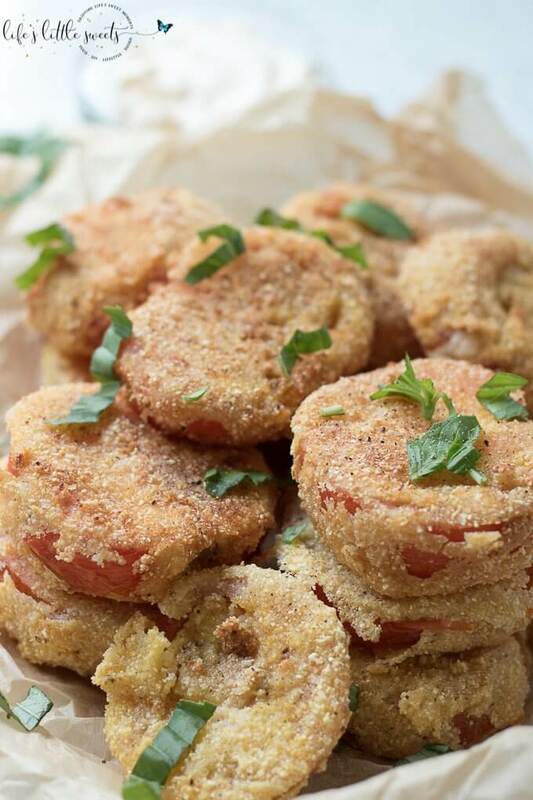 Place paper towels on a plate for when the tomato slices are done frying, set aside. Heat oil in a pan with at least 1/2 inch of oil for frying. Put 1 cup gluten free flour on a large plate for dredging. Mix cornmeal, salt and pepper and have in a shallow bowl for dredging. Whisk eggs and milk in a bowl for dipping. 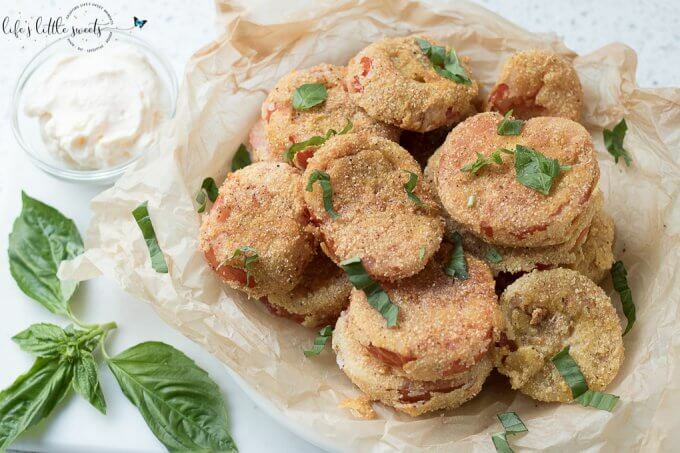 Dip the tomato slices into the flour, then dip in the egg mixture and finish with the cornmeal mixture. Repeat for all tomato slices. Place all prepared tomato slices on a place before frying. 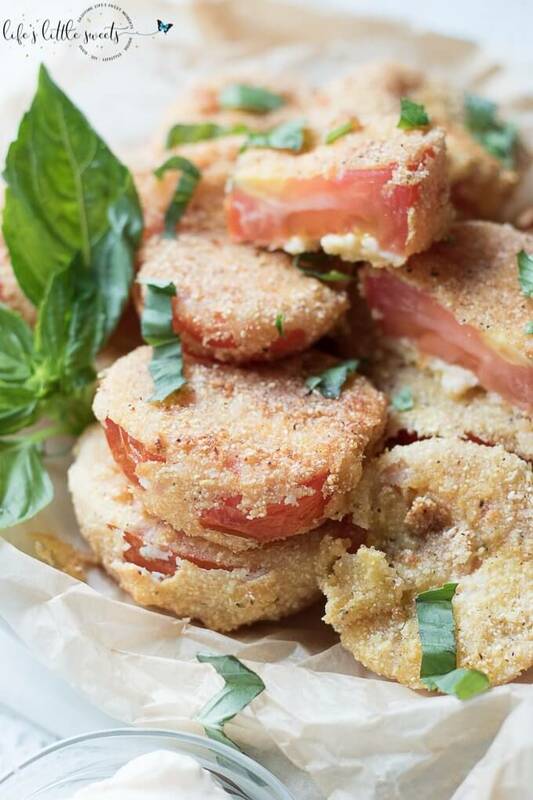 Fry the prepared tomato slices in the heated oil about 2 minutes per side or until golden brown. Make sure the slices are not crowded, you will need to fry them in batches, depending on the size of your pan. When each slice is done, place it to cool on a plate covered in some paper towels to absorb the extra oil. 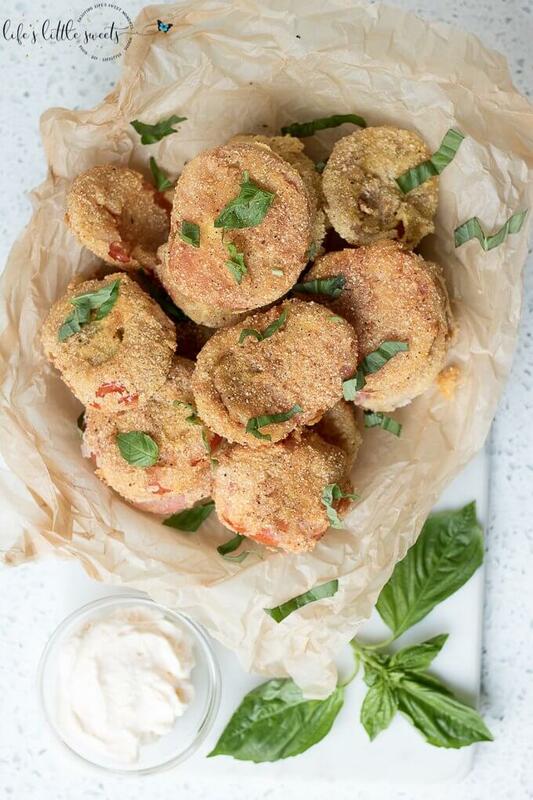 Serve with optional mayonnaise dipping and fresh chopped basil to garnish. Enjoy!